When it comes to improving the coverage area of your router, Wi-Fi extenders are quite necessary, and in few cases, they can be used to provide extra Wi-Fi access points. In case your home is huge with respect to your router then there are few considerations you have to make before going through the world of Wi-Fi extenders. For instance, in case you wish to maximize performance only, it is better to just add few Ethernet connections or even install extra routers to weak Wi-Fi zones. Also, you may not require spending money on a wifi extender which can cost at least $100, as you can easily get an extra router or even a wired connection for the same price or even less. At last, you should try to avoid single-band extenders as these extenders consume a substantial amount of router’s throughput, the efficiency can become an issue. Single-band extenders essentially connect to your router, and then they broadcast their own signals on the same band which can affect the performance. However, dual-band routers connect to the router on one band while broadcast from another. Keeping this in mind, let’s dig deep into the best Wi-Fi extenders that meet these requirements. It is a low-cost wifi extender which plugs directly into a wall socket. It is a dual band extender, and it is compatible with Wireless-AC technology which the latest wireless standard. It provides a throughput of up to 750Mbps. It features two external antennas in order to provide better Wi-Fi coverage along with the option to create a new access point of Wi-Fi or even a hotspot via a wired Gigabit Ethernet port. It is quite good in case you wish to create a different network for your guests. NETGEAR also comes with a Wi-Fi Analytics App, which provides you the capability to measure the Wi-Fi signal strength and even check on its status as well as identify crowded channels. These extra features may seem overwhelming for some, but the fact remains that one can find all these features at the relatively inexpensive package which makes it a better purchase than D-Link DAP-1520 which is its competitor. All these characteristics will definitely extend coverage of your router by several hundred square feet. It makes this extender one of the most impressive Wi-Fi extenders present in the market. In case you can afford to spend more for better coverage area along with several extra security features then this wifi extender will be a better choice. As several users often complain about the complicated process of setting this up, but in case you have knowledge of networking and don’t mind some time to invest in setting it up then it provides impressive performance. With its Wireless-AC compatibility and a throughput of 1200 Mbps, it extends your home’s wireless coverage area, as per Linksys claim, by u to 10,000 square foot. It also comes with 4 Gigabit Ethernet ports which allows you to utilize this device as a wired access point. One of the unique feature of this device is its audio input jack. It provides you the capability to connect a stereo or even a speaker system which allowing stream music wirelessly from your computer or even a mobile device. This device is best suited for offices as well as small business as it comes with 128-bit encryption along with WPS (Wi-Fi Protected Setup) function. However, it is a bit costly at price of $110 which is more than you would like to spend on a decent wifi extender. But in case you afford to spend this much, then it is a solid device but make sure that you have the patience to install this device as it comes with the complicated setup process. With price range at $50, it is a dual-band extender which plugs right into any of the wall socket and can extend the coverage area of your router with a simple push of a button. It includes Wireless-AC technology with 750Mbps throughput, 300 Mbps on 2.4 GHz and 433 Mbps on 5GHz. You are provided with the capability to both save as well as restore device settings as it is best fit for power outages or factory resets. It also assists you to monitor the traffic on the network. This extender is quite small and very easy to install along with offering impressively strong wireless signal which can be expected from a package of this type. Since it is small and expensive, it is mainly due to the fact that it is downsized to a wall socket wifi extender with only a few features. It doesn’t come with an Ethernet or USB port. Like few other, it doesn’t have audio inputs and doesn’t even have network bridging functionality. However, it is a quite formidable and affordable device when it comes to basic extension of Wi-Fi. It is perfect for people who have limited knowledge of setting up an extender. In case you are looking for a simple extender without any sort of complexities as well as fewer features, then this is the right choice for you. It is another robust as well as versatile offering for people who wish to get the most out of an extender. Many professionals claim that it provides impressive speeds over a subsequently large coverage area and it cost at $90 which is a bit cheaper than its competitors. It has compact, console design. It comes with dual-and Wireless-AC compatibility and provides a throughput of up to 1200Mbps. At 2.4Ghz it provides 300Mbps while at 5GHz band it offers 867 Mbps which is quite impressive. It has 4 Gigabit Ethernet ports along with a simple setup process. It has media server options which provide you the capability to share music as well as vide along with other files throughout your network. It is quite a flexible little device. It doesn’t have any external antennas which makes it quite attractive to few users. One disadvantage it has, which may seem good for few, is that it connects back to the router on the same band on which it also broadcasts. This may affect the coverage area. While other extenders use different bands for broadcasting and connecting. However, it isn’t a big deal, but it does make for a slower connection in case you connect to the extender which is on the same band that uses the same to connect to the router. This wireless extender may not be the fastest one at close range, but the dual-band RE305 remains to be the best extenders for long range. It has two bands with 2.4 GHz which has speed up to 300 Mbps while another band with 5Ghz with speed up to 867 Mbps. It also comes with Fast Ethernet port which allows you to connect any wired device. It also helps in boost your Wi-Fi to stream as per your requirement. It is a cute extender which is white and comes with rounded edges. It has two short antennas. It comes with three LED lights on the front which indicates if it is properly connected which generally makes its setup a cinch. This extender comes with a two-year warranty along with 24/7 technical support. It is a great piece of the device with a high price, but it sits in middle ground between Mesh Wi-Fi systems and slower as well as cheaper Wi-Fi extenders. It is mostly a fast two-part wifi extender which uses dedicated Wi-Fi channel to transmit data back and forth between the base unit which is connected to the router and a satellite which is in a room which has poor coverage. Its satellite creates its own Wi-Fi network for distant gadgets in order to connect to. It has a maximum speed at 2Gbps with 3x 100Mbps Ethernet port and 1x1Gbps Ethernet. It provides long-distance speeds, and its performance is great. In our test, it performed exceptionally well and is much better than high-end routers and all the other Wi-Fi extenders. In case you have PowerLine network then it will perform better especially in case your home is wired up correctly, and you are ready to spend some money on a mesh network. It is a robust wifi extender which is quite cheap and offers great functionalities with its own satellite that provide coverage to distant devices. This device is the smallest adapter and by far the cheapest of all the devices we have considered with a price at £15. It won’t be recommended to the people who are looking for more than basic network demands, but in case you have simple demands and want the cheapest solution then this device is perfect for you. It is quite elegant and a small device which has gently curved front and features a single LED. When it comes to features, it is quite simple. At 2.4 GHz band, it is rated at 300 Mbps, so it doesn’t offer the contention which reduces the abilities of 5GHz along with the speed of AC. However, it doesn’t have extra features to overcome its simplicity as well as basic performance. 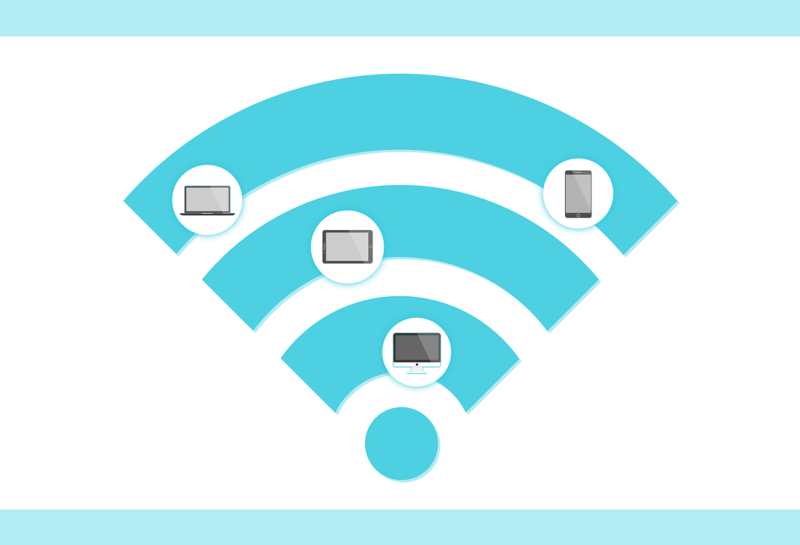 It has a side mounter WPS buttons which can be easily used to connect to your router automatically, or it has a manual optional available too where you can connect to its default Wi-Fi signal and then it will take you to a setup page after opening the browser page, automatically. It is a simple wifi extender with basic features and simple process to set up. It provides a simple choice of either using a separate SSID for your extended network or the same one like your original network. We recommend using different ones in order to save yourself from confusion. You can also choose whether to copy the same password or you can also add a new one. When it comes to performance, it is quite good due to the fact that it lacks the competing wireless bands to deal with. This wifi extender doesn’t claim to be the fastest one but when it comes to deliverance it is quite speedy, and it provides good range. It has a tidy-looking unit and comes with glossy white finish. It is fairly bulky, but you can easily squeeze it in the next to other plugs unlike other extenders discussed. It does have a couple of flip-out aerials which helps it to get the best signal to and from the device with a single light on the front which indicates the status. It flashes in two colors, green and amber or red which depends on the connection strength as well as setup status. However, you won’t be able to distinguish whether both of its two bands are connected properly. You have to check to see whether the signal available or not on your devices. In case you don’t find one, then you can tap the WPS button in order to connect the second band. It is the same procedure for connecting the first band, or you can also connect to default network of the extender and set it up using its web interface. It has a simple process and doesn’t require too much know-how. When it comes to physical features, it has only an on/off switch along with one Ethernet port. This port can be utilized for the addition of any wired devices to the extended network. However, it doesn’t allow this extender to be used as an access point. Its performance is quite good. On the short range, at 5GHz, it has 68.1 Mbps download and 71.7 Mbps upload speeds. At long range, it manages to achieve 50.2 Mbps upload speed while download speed of 65.6Mbps. However, at 2.4 GHz it has good range with 54.4 Mbps download speed, and 68.7 Mbps upload speed at short range. In case of a long-range, it has 29.6 Mbps download, and 31.6 Mbps upload speed. This wifi extender is a wonderful option for people who aren’t looking for the utmost when it comes to performance but wants a simple and reliable Wi-Fi connection at fairly reasonable price. This wifi extender remains to be a premium extender in the range. It may not be the fastest unit here, but it is the best buy at the price of £80. It is smart looking with a slim profile, and it doesn’t protrude much more from the wall. It comes with a single Ethernet port on the left side with an on/off switch on the underside. Its face has 3 LED lights with a couple of buttons. Its two LEDs indicate the two Wi-Fi bands which are connected to your router while the third one shows the power. Buttons are WPS and resetting the device. It also functions as an access point with the Ethernet port offering the feed channel. Its setup is quite simple It has to an option to either use WPS or log in to default Wi-Fi setup of the device via its web interface. It may take some attempts to get the WPS working, but it provides great signal strength. As far as performance goes, this extender is phenomenal it has 5GHz performance which is great in the close range with speed of 96.05 Mbps. In case of a long-range, it has 78.8 Mbps. At 2.4 GHz, its speed is at 44.6Mbps in the close range while in the long range it achieves 30.7 Mbps. Unlike other extenders, it isn’t noticeably a faster or slower one for both uploads and downloads. It does provide great features and performance at this price range. It may not be the fastest but it does have impressive speed, and it is worth considering. Wi-Fi extenders are a great addition to your home in case you have larger square footage. If you need better speed at longer range, then you can certainly choose one. We recommend dual-band extenders as it delivers better performance. It is essential to look for the aesthetics along with the quality of the signal and the performance. You are provided with the capability to check the upload and download speed of the extenders to suit your requirement. Make sure you choose the one which has Ethernet ports to give you extra access point for the wired device. You can choose among the ten extenders we have mentioned. You can pick according to your requirement and budget range. Make sure that the extender you pick should have necessary features to cater your needs. Do let us know about your view regarding our Wi-Fi extender reviews. You can mention them in the comment section below.